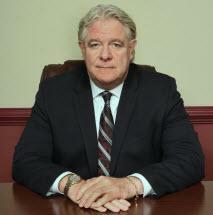 Michael P. McDonald has more than 30 years of experience in personal injury law. He is a well-respected litigator in Lancaster and throughout Southeastern and South Central Pennsylvania. Attorney McDonald has obtained one of the largest non-death trial verdicts in a personal injury case in the history of Lancaster County, leading to precedent-setting, third-party excess/bad faith liability. Attorney McDonald has also obtained one of the largest arbitration awards in the history of Lancaster County. He is a lecturer of automobile insurance law to attorneys in the Commonwealth of Pennsylvania.